Download Free PDF Book "Talash e Haqeeqat" This book is written by Pakistan's famous Nuclear Scientist, Engineer "Sultan Bashiruddin Mahmood" (Sitara-e-Imtiaz). Writer already wrote more then 15 books on various scientific, spiritual, and Islamic topics. Every one want to know reality of every thing and his/her own self, everyone want to know how this universe made and who creates it, how unseen universe system works who command this. this book answer all your unsolved questions and introduce you with your Great and almighty creator. 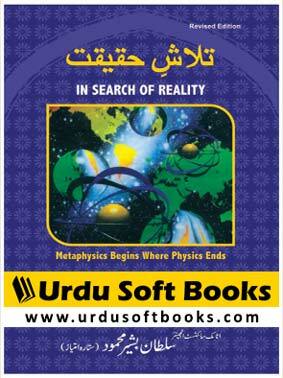 You can download Urdu Books, PDF Books from each page of this blog using below download link.